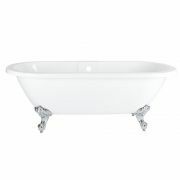 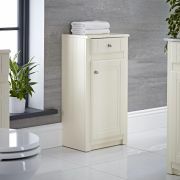 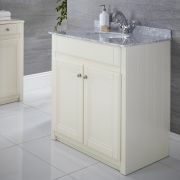 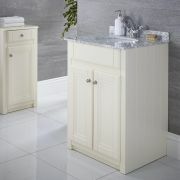 This 47” traditional vanity unit provides a stylish and practical storage means for any bathroom or en-suite space. 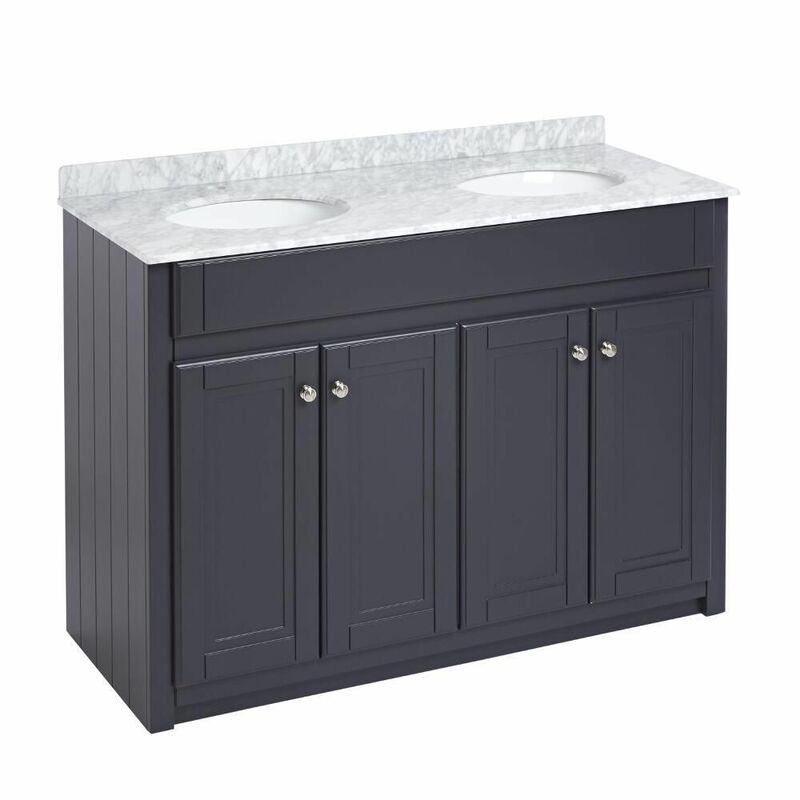 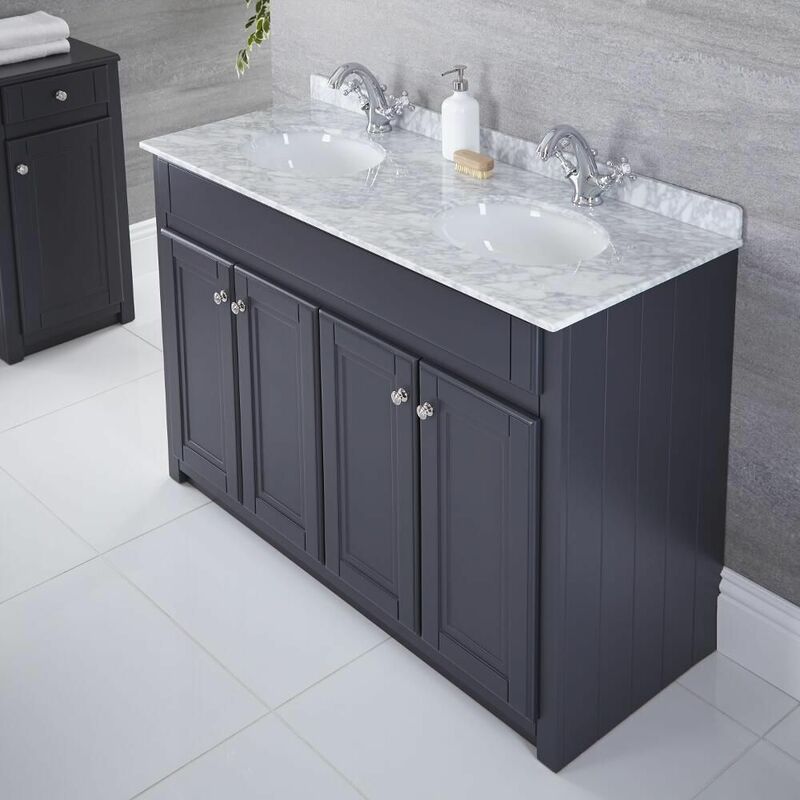 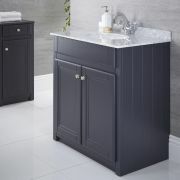 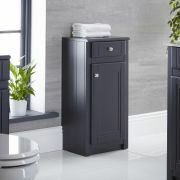 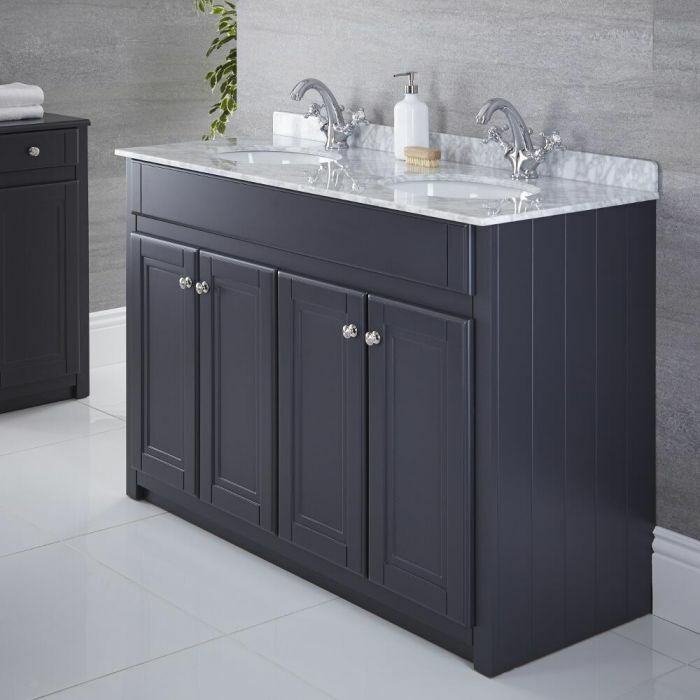 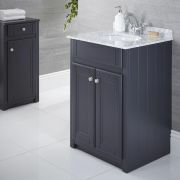 Offering adequate storage room for the likes of toiletries and beauty products, this top quality vanity unit boasts an attractive traditional design and a beautiful anthracite finish that is certain to upgrade any surrounding décor. 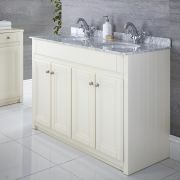 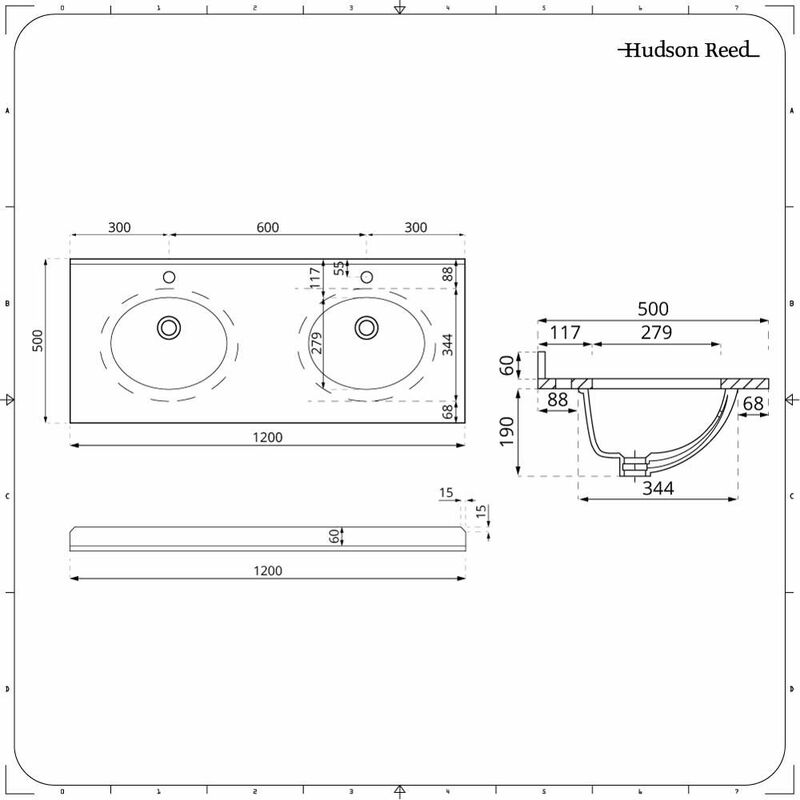 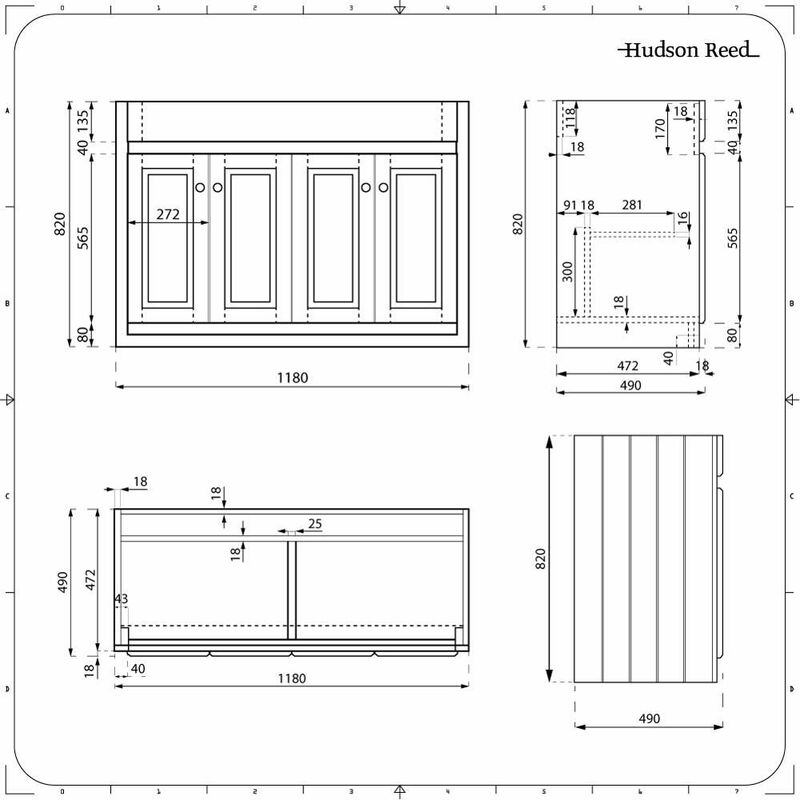 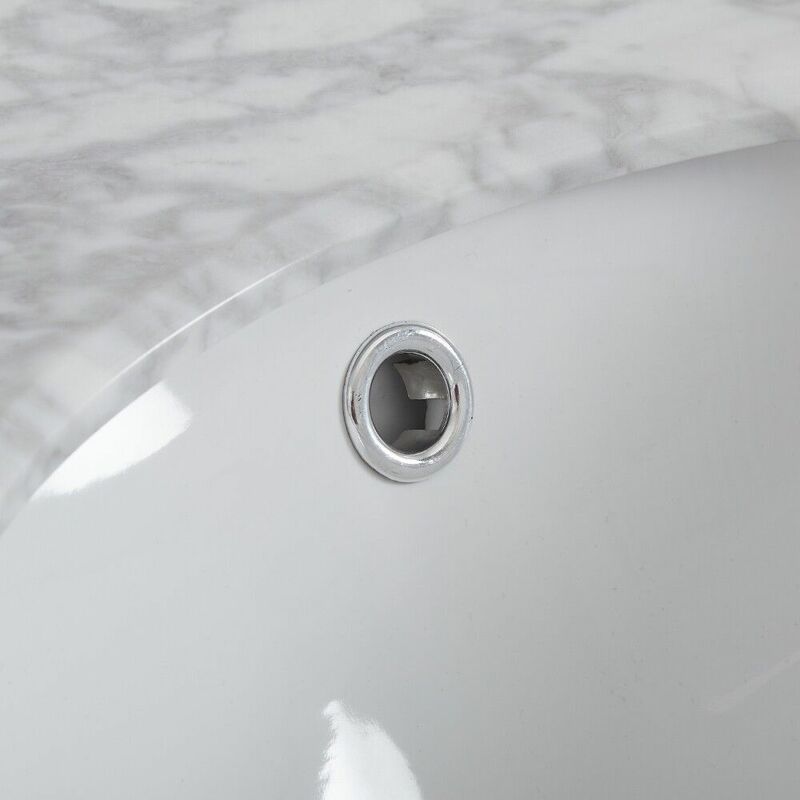 Measuring 46.5” in width, the vanity unit comes supplied rigid to guarantee a simple installation process. 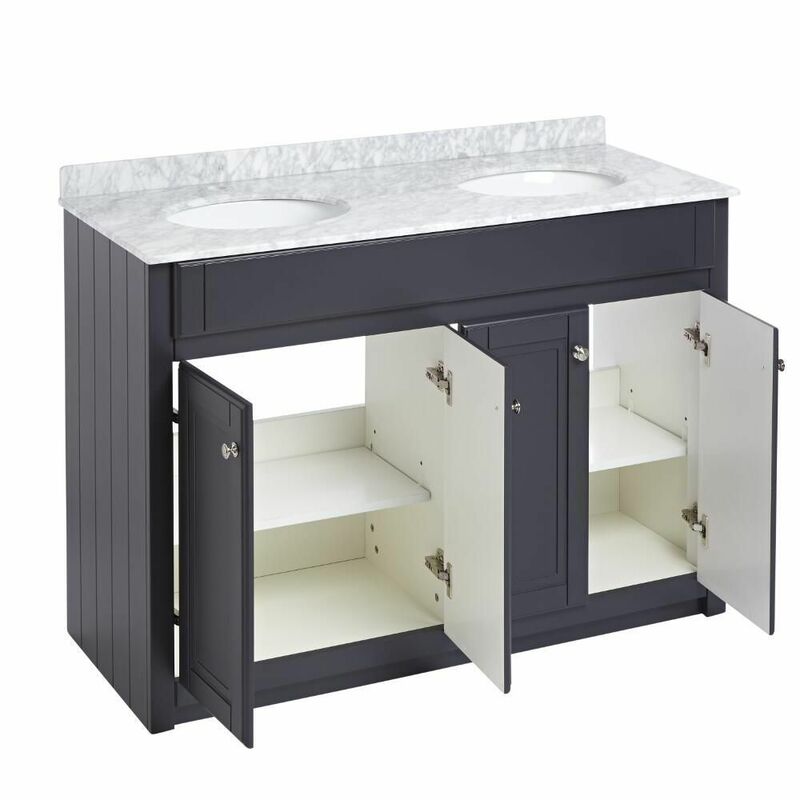 It incorporates a single shelf and chrome handles.